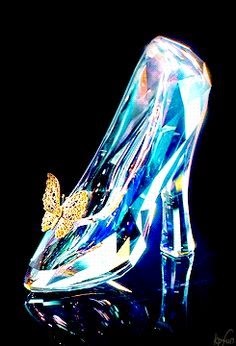 Who doesn't love Cinderella? This girl has a fairy godmother and an awesome pumpkin carriage....She rocks! 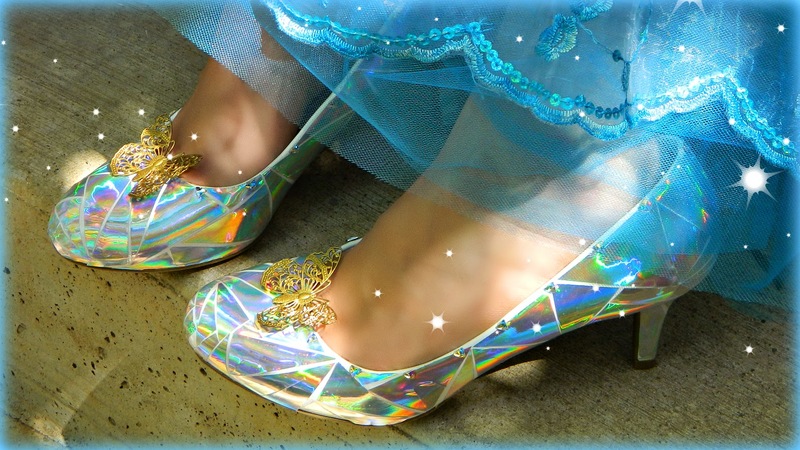 Not to mention the glass slippers. Who doesn't want a pair of those even just to display? 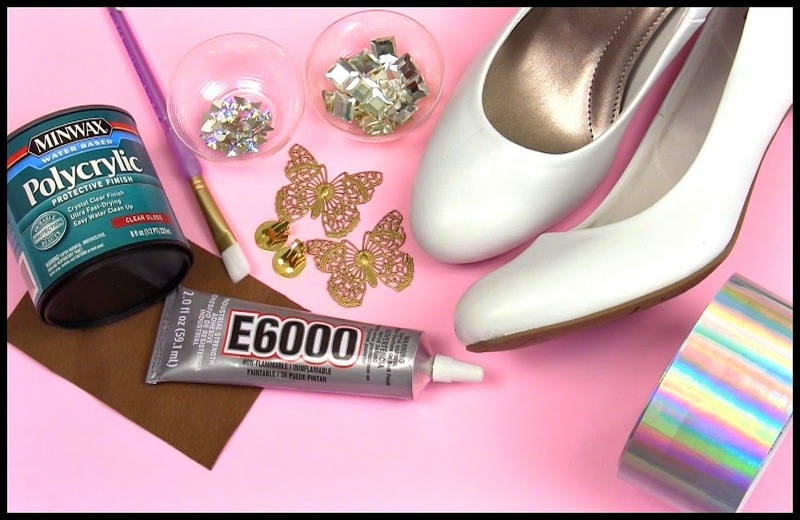 Today we're making a wearable version of the glass slippers featured in the latest Cinderella movie which are perfect for cosplay, Halloween or your own perfect little princess. 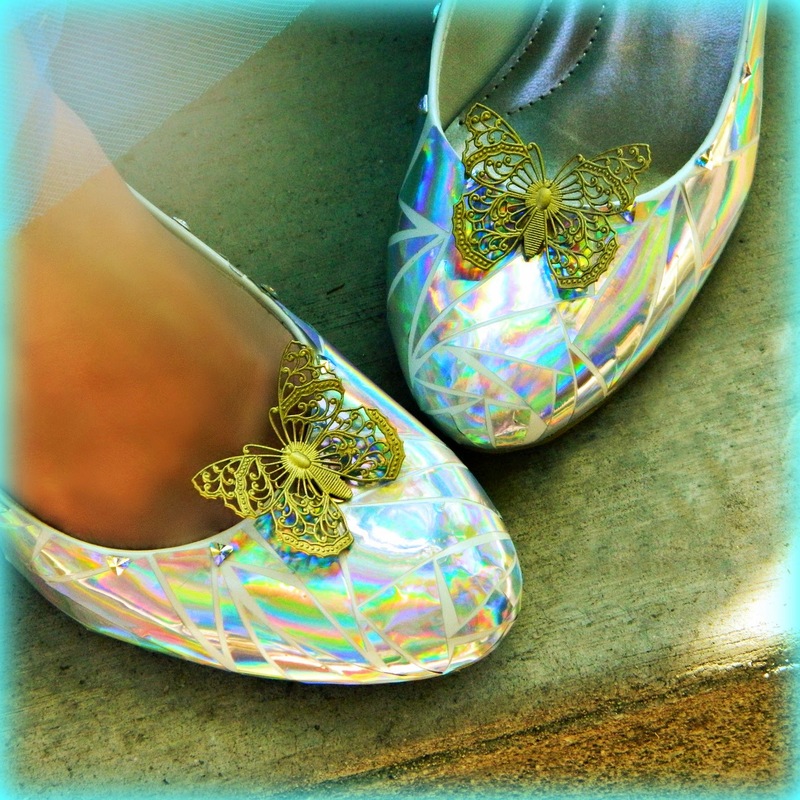 They wouldn't be complete without the butterfly shoe clips! Make sure to leave one behind for your prince! Wow, even at 70 I would get a kick out of these for Halloween! Aslo for the granddaughters, daughters-in-law, my sister... ! These are fantastic. 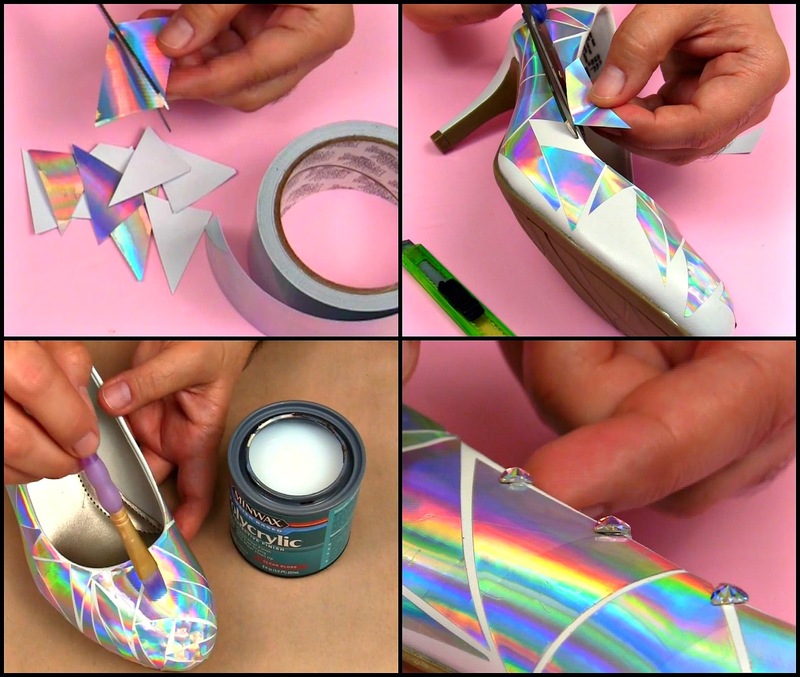 I don't usually like 'bling' but I would definitely wear these, with the right outfit of course. They would be so special for a bride. Hi. Fantastic idea! I have sourced everything else but could you possibly give me the link for the brass butterflies as I can't find any as good anywhere. 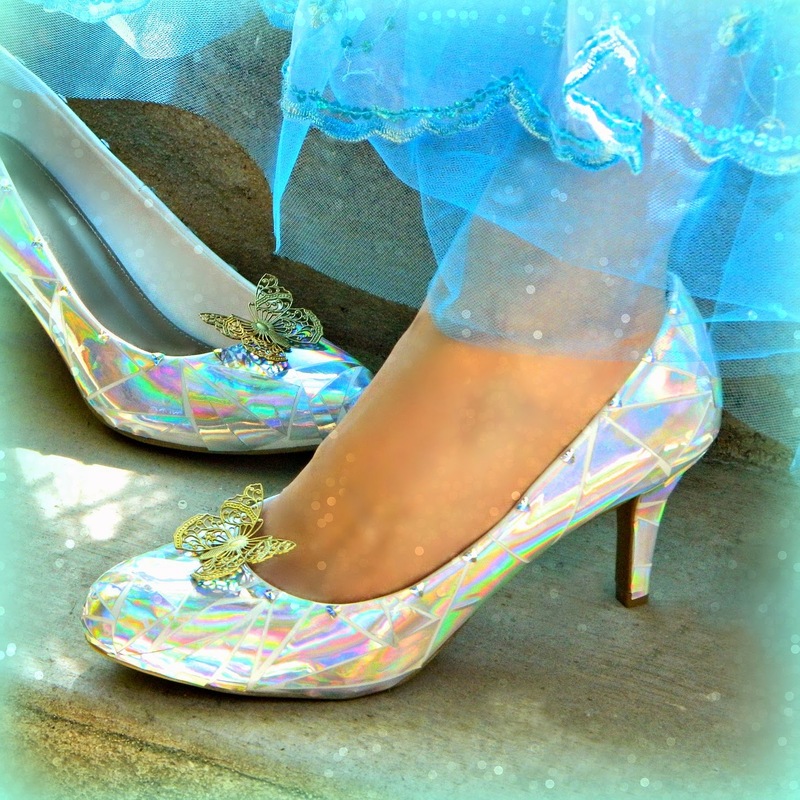 Hi Emma, the link for the brass butterflies that I used on these shoes is above. The exact butterflies. I got them at beadaholique. Just take a peek at the YOU'LL NEED section. Thanks for the comment! These are truly spectacular! 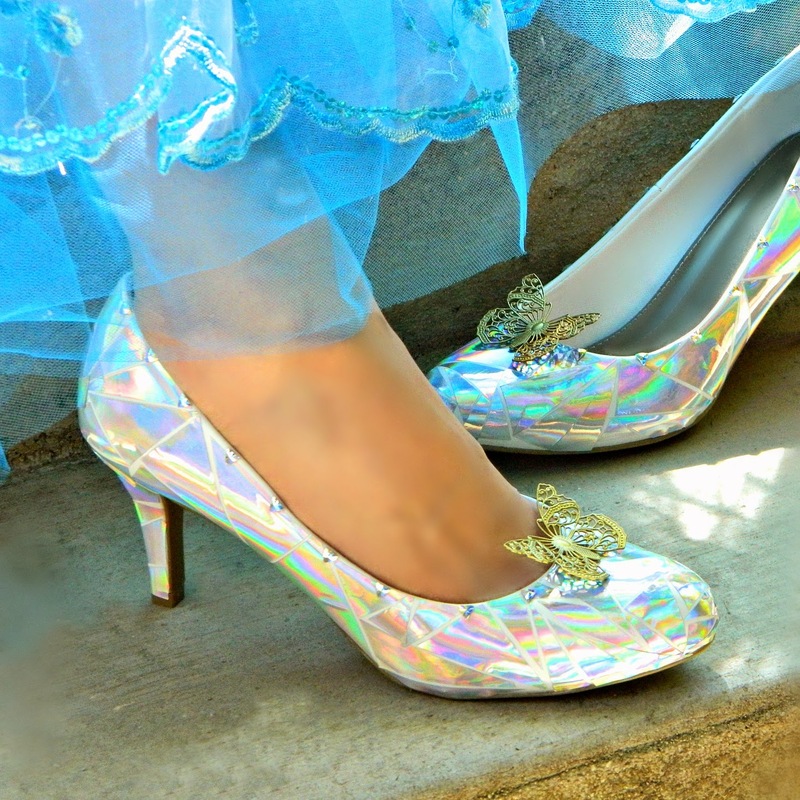 I am going to be Cinderella for Halloween and think these would be perfect. Do you recall how many Swarovski crystals you used? Also, did you just prefer the triangle ones better than round crystals? Thanks so much!